I bought this brown packet of super strength 'Henna 'n' Placenta' for £1 at a cosmetics store in Liverpool city centre. Last week I decided to give it a go now, i'm not sure what the product means by 'placenta' and the only information I could find was that it contains placenta extract which is apparently amazing for restoring lustre, shine and life into hair. The product itself is very runny and is applied to washed, towel dry hair. I wrapped my hair in a plastic bag and as instructed on the packet - applied a little heat for 5 minutes. I left the treatment on for 40 minutes before rinsing and oh my gosh this stuff is ah-mazing! I knew that it has worked wonders when I started to blow dry my hair and the brush ran through my hair with no problems. The real amazingness appeared when my hair was completely dry, I couldn't get over how soft, silky and healthy my hair felt and looked. I loved the effects so much that I went back and bought another five packets to try once, weekly treatments. Even after washing and conditioning my hair as normal my hair still feels amazingly nourished I still can't believe it. 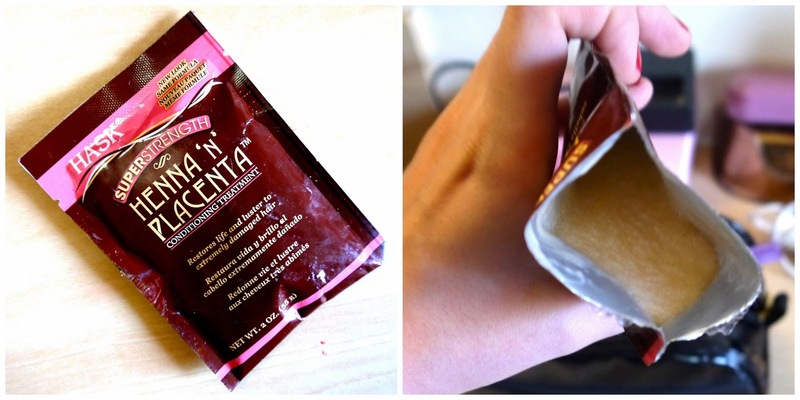 Have you ever tried Henna 'n' Placenta on your hair?